The NAS Report On How To Regulate Future Biotechnology Products is Out…. Now what? The long-awaited NAS report on Future Products of Biotechnology was released March 9, 2017. It’s a thoughtful product of some very sharp minds mostly from academia — and as such, it is a good academic perspective on identifying and characterizing risks relative to current and future biotechnology products. The report also provides a good first step of encouragement toward the US regulatory agencies to exchange more information, collaborate where needed, and establish one single entry point for future biotechnology products. Not to diminish the value of the final report or the stature of the scientists who authored it, but it falls a bit short incorporating some of the direct input from industry regulatory scientists and US regulatory policy makers, something the committee set out to do with the information gathering sessions last summer. As such, the impact of the report will remain largely academic, unless this report can be a stepping stone to more. Better incorporation of industry stakeholder input (ranging from DIY, to start-ups and non-profit entities such as New Harvest, to large companies) and from various highly engaged institutions, think tanks, and other NGOs, would have provided a richer perspective. And the report seems to have generated a few some misconceptions…. For example, the report mentions “Future biotechnology products may include an additional array of new products that may not fit within existing policies. Examples would be synthesized foodstuffs produced directly in industrial and fermentation facilities without the intermediation of plants or animals (such as egg-white protein produced from GE yeast) …..” The ‘existing policies’ refer to the designation of food ingredients as Food Additives by the US FDA, unless they are Generally Recognized as Safe (GRAS). Although the initial assertion is correct, the example chosen (egg-white protein produced from GE yeast) is not. 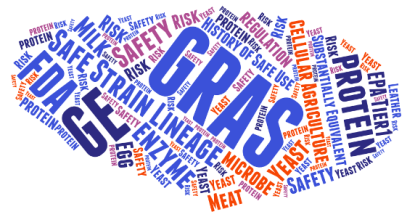 Proteins produced with the aid of safe microbes such as yeast perfectly fit the GRAS designation, as elaborated in a recent publication[i] , supported by well-established safety evaluation methodology for food enzymes produced with genetically engineered microbes[ii], and over 100 successful GRAS Notices filed with FDA for microbial enzymes! The publications assert that the safety of any microbially-produced protein depends on 1) the history of safe use of that protein in food, and 2) the proven safety of the production organism. Although a person’s intake of a dietary protein such as yeast-produced egg albumin or milk protein, for that matter, will be considerably higher than that of an enzyme, the general safety of both 1) egg or milk proteins and 2) yeast as a production organism have both been well-established. Moreover, modern engineering techniques allow for minor adjustments to the protein sequence such that hypo-allergenic versions of these proteins can be generated if needed, enabling their consumption by individuals who are allergic to these otherwise highly nutritious proteins. 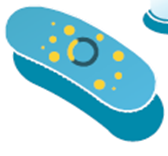 Further, when describing microbially-produced proteins it is imperative to use correct terminology, as the choice of words “produced from” implies a crude preparation from which the yeast production organism has not been removed or potentially a process by which the protein is extracted from yeast. Neither is correct. 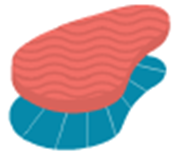 The correct choice of words for proteins secreted by yeast and other microbes is “produced with”, which indicates that the production organism is physically removed from the protein product. This is essential as the regulatory status in some jurisdictions (e.g., EU and Brazil) differs between these 2 types of preparations, with only the former being subject to GMO authorization and labeling. Instead, the committee may have intended to point out that some animal products produced without animals (such as cultured meats) do not fit any of the current policies. Which brings me to the most important point, which I also presented to the NAS committee[iv] in the same public meeting: that any evolving regulatory framework that aims at keeping up with evolving technology needs to evolve itself, leveraging knowledge building to set new ‘safe baselines’ rather than starting safety assessments anew every time an improved variant is put forth to the regulatory agency. 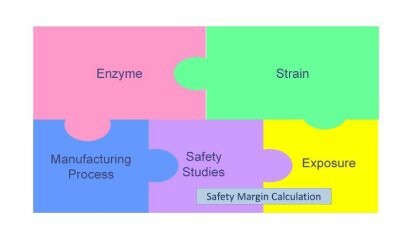 Current examples include the Tier 1 exemption by the US EPA, the GRAS designation, and the concept of Safe Strain Lineage, which allows reliance on pre-existing safety data to finalize a risk assessment, without unnecessary sacrifice of test animals. Although exempt designations and concepts exist, they are not necessarily embraced by the regulatory agencies or leveraged efficiently enough for start-ups to benefit from, and navigating the regulatory maze can be arduous. From that perspective, establishing a single entry point as recommended by the NAS committee may be a good first step, although it requires focused execution with short turnaround times to avoid prolonging the process even further beyond today’s. It is now up to the regulators to come together and seriously work together, while letting go of the silos erected between agencies or even between programs within one agency. [ii] Pariza and Johnson, 2001. Evaluating the Safety of Microbial Enzyme Preparations Used in Food Processing: Update for a New Century. Regulatory Toxicology and Pharmacology 33, 173–186. [iv] Managing risks of using microbial biotechnology in containment. Presentation to NAS Study Panel of Future Products of Biotechnology (https://vimeo.com/173789952). The 501(c)(3) research institute accelerating breakthroughs in #cellularagriculture to reinvent the way we make animal products — without animals.